Tensile strength : 35- 55 kg / mm2, 350 - 550 N / mm2 . Packing : 10 - 800kg / coil plastic inside and hassian outside / weave outside. 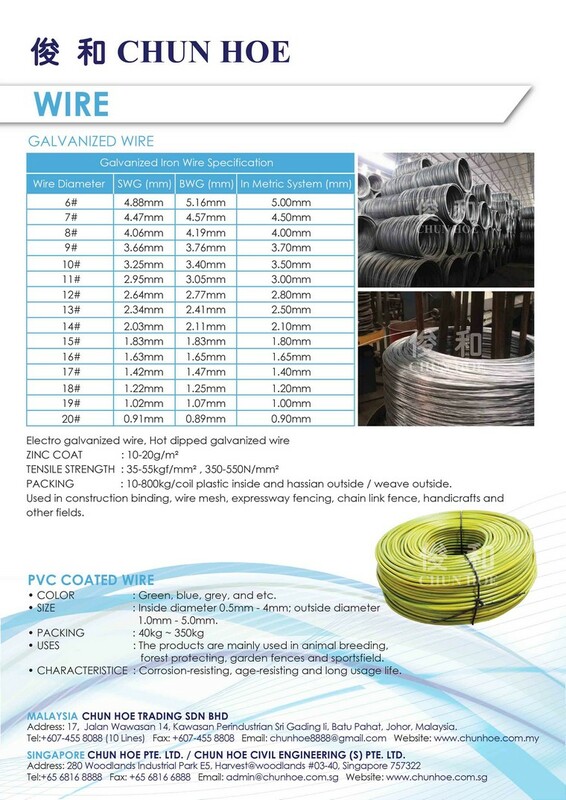 Used in construction binding, wire mesh, expressway fencing, chain link fence, handicrafts and other fields. Color : Green, blue, grey and etc. Size : Inside diameter 0.5mm - 4mm ; outside diameter 1.0mm - 5.0mm. Uses : The products are mainly used in animal breeding, forest protecting, garden fences and sportsfield. Characteristice : Corrosion-resisting, age- resisting and long usage life.